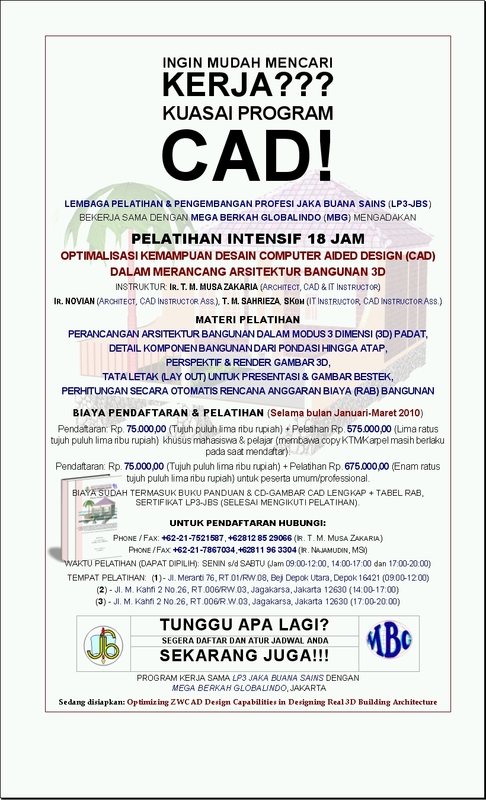 The 18 hours intensive 3D CAD training program is offered only for local regions of Indonesia. 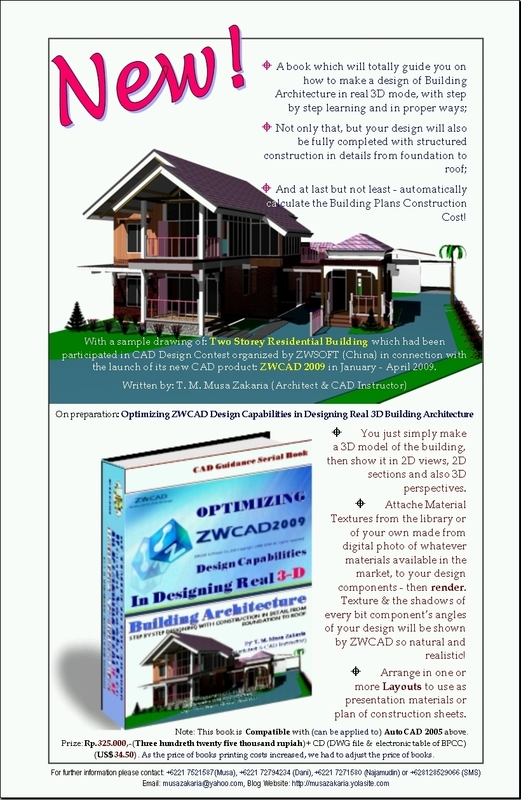 The book 'Optimizing ZWCAD 2009 Design Capabilities In Designing Real 3D Building Architecture' can be obtained for people who are interested in from all over the world. And last but not least, an offering of designing of a building architecture design according to your needs is also mentioned at the bottom left corner of this page. 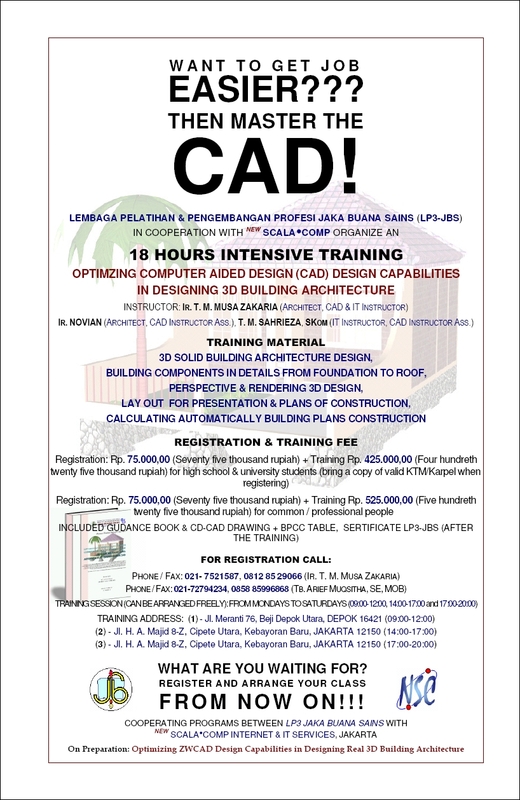 A special offer service to designing 3D building architecture design complete with structured construction in detail from the foundation to the roof with the design fee of: Rp. 50.000,-- per sq m (price is subject to change without prior notice).